Cosy cottage with good refrigerator. Good location. Allt och att jag fick mitt önskemål nära till toalett då jag går sämre och har ett barnbarn som precis blivit av med blöjan. Bra läge. Rent och fräscht i servicehuset. Trevlig personal. Barnvänligt. War alles da was man braucht. Das Personal sehr freundlich. Die sanitären Anlagen waren sehr sauber. Ich fahre bestimmt wieder dort hin. Närheten till Astrid Lindgrens Värld. Trevlig poolanläggning vid boende. Barnen gillade verkligen lekplatsen som ligger mitt emot servicehuset. 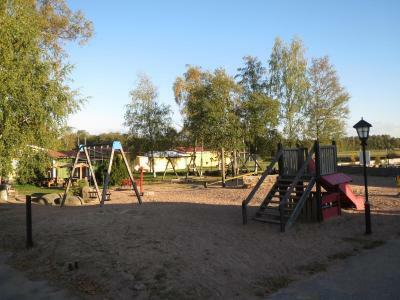 Mit Kleinkindern ist eine Poolanlage und Spielplatz vorhanden. One of our best sellers in Vimmerby! Located 0.9 mi from central Vimmerby, these cottages include a kitchenette and a small private patio. Parking is free on site. Astrid Lindgren’s World Theme Park is 1.9 mi away. All cottages at Björkbackens Stugby have access to a service house with a communal kitchen, shared bathrooms and a laundry room. 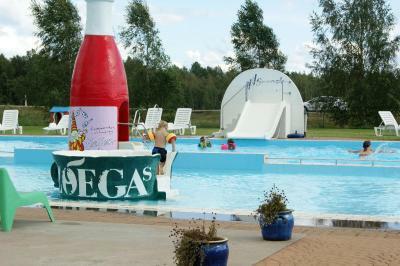 Leisure facilities include an on-site water play-park and a 12-hole mini golf course. 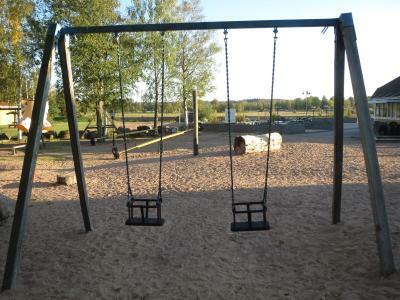 Children will appreciate the playground. 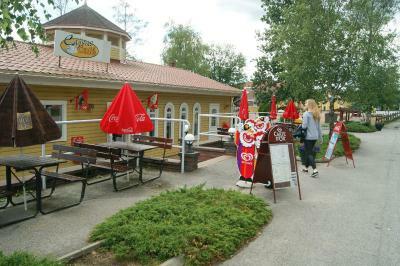 Meals can be enjoyed at the in-house restaurant. BBQ facilities are available in the garden surrounding the cottages. Highway 40 is 800 feet away. 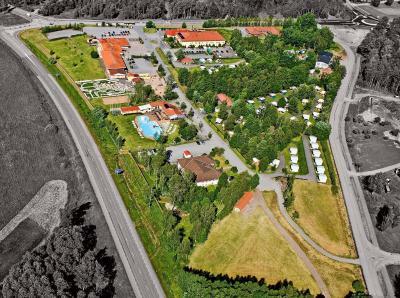 When would you like to stay at Björkbackens Stugby i Vimmerby? Includes a kitchenette and a private patio. The bathroom facilities as well as a shared kitchen and laundry room are found in the service house. Please note that these cottages do not have any running water. Please also note that 2 of the beds are on the sleeping loft. House Rules Björkbackens Stugby i Vimmerby takes special requests – add in the next step! Björkbackens Stugby i Vimmerby accepts these cards and reserves the right to temporarily hold an amount prior to arrival. Please note that the restaurant’s opening hours and the food offered vary during the year. Please contact Björkbackens Stugby for more information. Please note that the water park is only open during summer. Pool was really dirty and expencive. Bathrooms smells, long lines to bathroom becourse there was no whasing area outside of the wc and people spent long time inside of wc brushing teeth ect. Could not open the attic window ant that makes the loft extreemly hot. Outdoot table almoust fallen apart. Way too crowded and loud in the bungalow area. Bathrooms are not kept clean throughout the day. Taking a shower was not free of charge. Price was a bit high for such a facility and free cleaning was not included. Nice place for families with kids.